There was once a place called The Pastures of Heaven near the Salinas Valley in California. All the stories of different people in John Steinbeck’s novel occurred right here. I really loved the transition of characters that the author made, he didn’t just stick to one main character and extended the plot but instead, he included many other characters as the story proceeded by. For instance, in the beginning, the Battle family was introduced first but when the Munroe family appeared, it wasn’t disconnected nor it is a tangent. Every character in the story seemed really realistic and like real life, have their own personality. Edward Shark was his moniker, but he overly protected his daughter, I can certainly understand a dad who loves his daughter, but in this case, this love exceeded the love a father provides for his daughter. Imagine if I was the girl, Alice, I would be escaping away, but she was obedient about every dictation that Edward gave it to her. I was really fond of this book’s character and how the author connected all the characters that weren’t related at first. 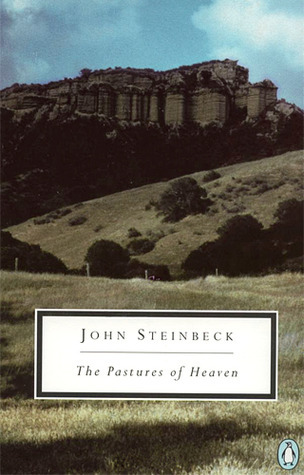 The Pastures of Heaven by John Steinbeck is available for checkout from the Mission Viejo Library. This entry was posted in Book Reviews and tagged california, historical fiction, rural families by aprilauthor. Bookmark the permalink.